You guys, I think I’ve mentioned a few (or a hundred) times that I’m not so good at the consistent blogging thing. I’ll get in a good swing where I’m posting every few weeks, and that usually lasts oh, I don’t know….a few weeks, maybe? I have to first brag about the great staff at the Lego Education offices. (I don’t know if they sit in cubicles made of Duplo bricks or if their desks are grown-up Lego tables just waiting for creations, but I kind of hope it’s both.) They reached out to me so long ago and have been nothing but kind and patient as I’ve spent a year trying out the products they sent me with various groups of children (and more than a few adults) for a solid year. 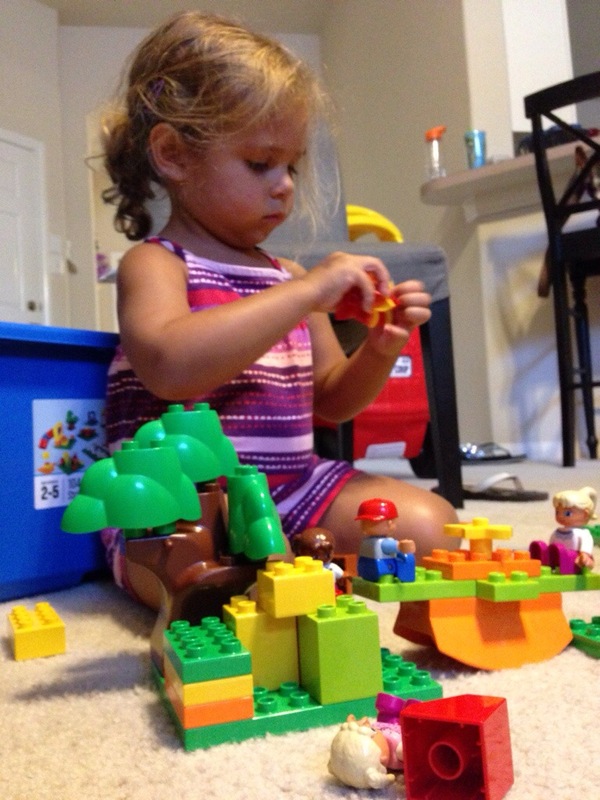 Thank you for all of your help, Lego Education friends! 1. I’ve been approached about a few product plugs in the last couple of years, but none of them has made me as excited as an opportunity to partner with Lego. 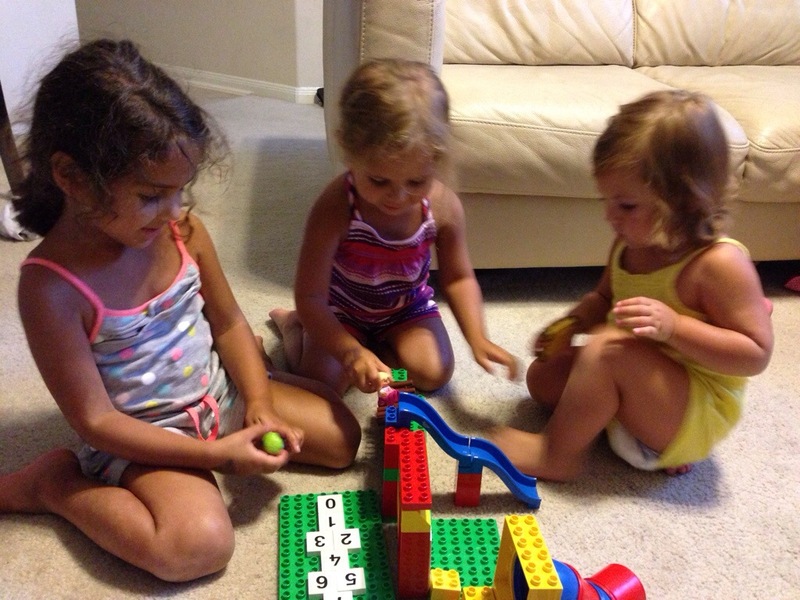 I grew up with mountains of Lego bricks at my disposal, the bulk of which are still seeing playtime at my mom’s house. 2. I’m kind of an old-school Lego fan. These teeny tiny things that come with specific directions for building the Death Star are cool in their own right, but I’m a purist who doesn’t like to be told what to do. Classic Lego bricks are my jam. No directions necessary. You want a tower? You got it. A corral for all of your Lego farm animals? Coming right up! 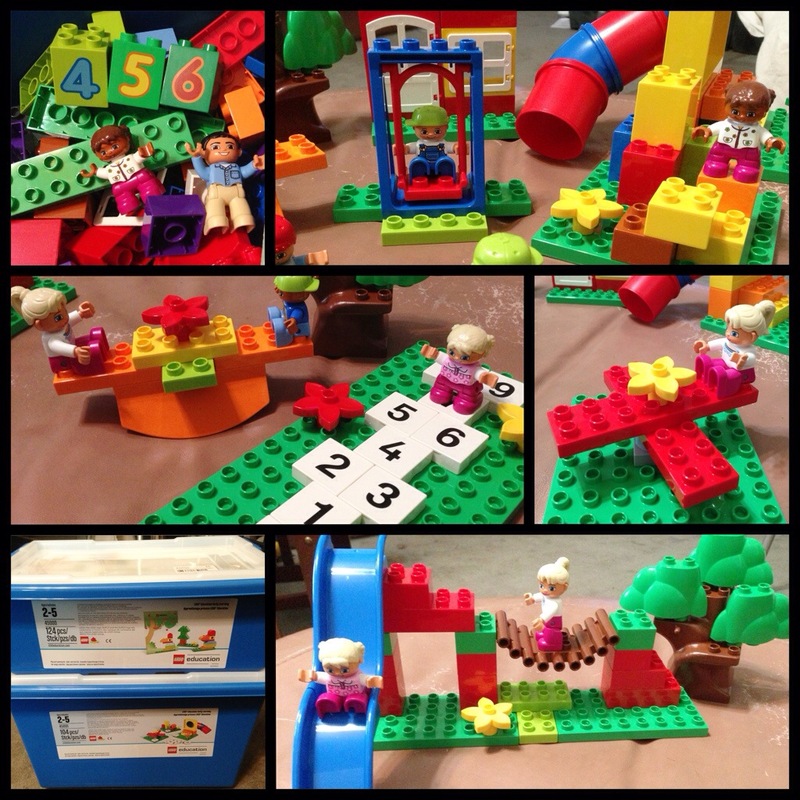 This set is designed for a small group or partners in centers. This is to encourage collaboration and language skills as they build, and boy do they collaborate! There are pictures to guide them, but there are tons of ways to set the playground up, and the majority of kiddos I worked with didn’t consult the pictures at all. There are so many opportunities for cross-curricular discussion here. The hopscotch pieces support number recognition and counting. The mini-figures brought out so many discussions of who might go to a playground and whether any of them were grown-ups. (They are all the same size.) This set also encourages some hands-on problem solving. How will you build your dream playground? Why did you put those structures together? The possibilities are truly endless! Remember how I said I’m a Lego purist who doesn’t like to be bound by directions? Well, this set proved me wrong. It comes with two-sided picture cards that snap into a special tray with building mats on either side. Students can work on either side of the tray to try to recreate the picture before them. I can’t even tell you what a favorite this was with the kids! Just a few learning opportunities I noticed were number and counting skills, pattern identification/repetition, and use of position words (on top of, next to, etc.) in conversation. You could even have older students use the picture cards to guide each other to build a design blind – you know they’d love that! I just absolutely love these products, friends, and so do the kids that have learned with them this year. 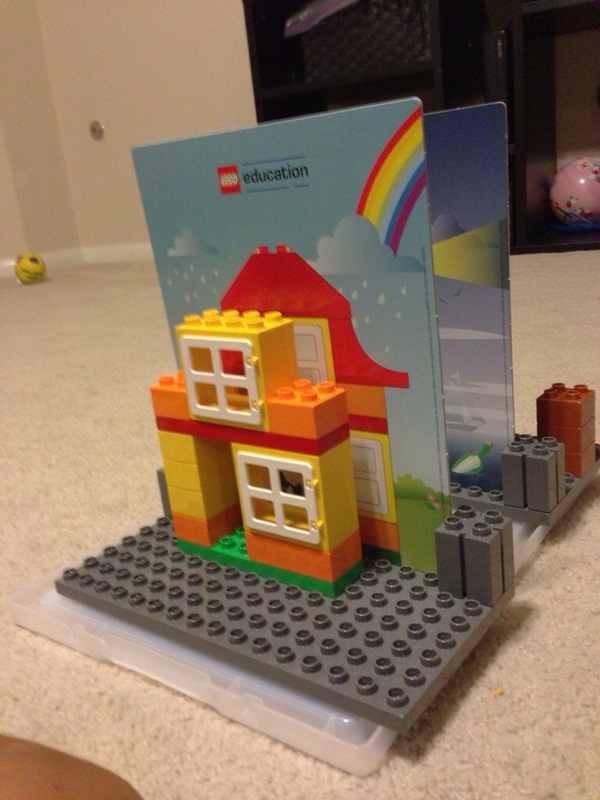 But don’t take my word for it – check out the Lego Education site for yourself. They are constantly coming up with new ideas (probably because those cubicles made from Duplo bricks inspire them so much). You won’t regret it! Hope you’re having the most wonderful summer!